The Olympic Run Day for Public Health 2017 is scheduled to begin across the country at 7am on March 26, announced the Vietnam Sports Administration. The event is part of activities to celebrate the 71st anniversary of the Vietnam Sport Day as well as the 86th year of the Ho Chi Minh Communist Youth Union. It is hoped to encourage Vietnamese people to do physical exercise regularly. The organising board hopes that 85 percent of communes, wards and towns nationwide will join in the run. 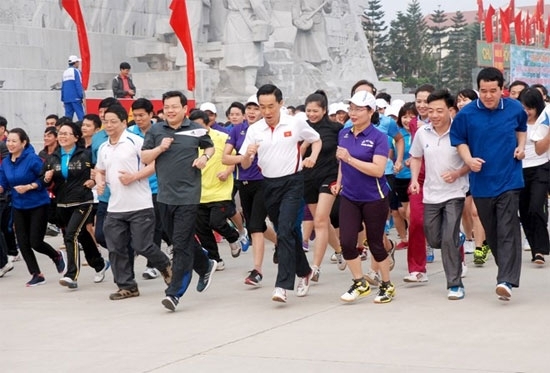 The Olympic Run Day last year drew the participation of about seven million people in 63 localities across the country.